This is a sales report for Pebble Creek At Pelican Bay, for 2015 (data from MLS of Naples). 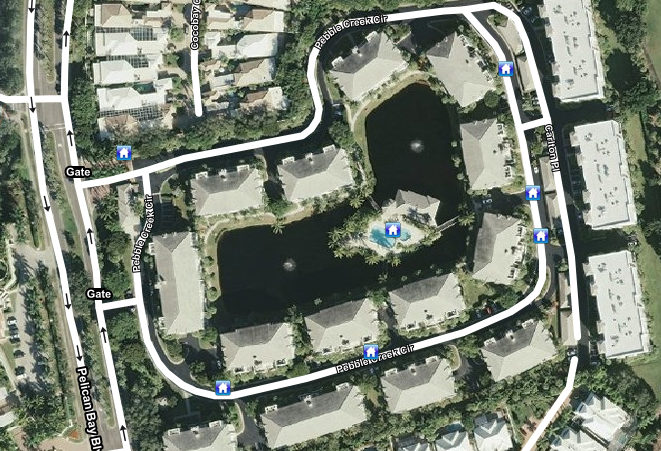 Pebble Creek is a gated neighborhood of 14 coach home building and 3 mid-rise condominium buildings in Pelican Bay, Naples. Pebble Creek is conveniently located across the North parking and the train station #8 to go to the beach club. Contact us if you have any questions or interest in Pebble Creek.